The prosecution in the Malayalam actress abduction case has submitted more evidence against actor Dileep's wife Kavya Madhavan, alleging that her driver influenced the witness. Kavya Madhavan and Dileep. Images from Facebook. According a report by Times of India, the prosecution apprised the Kerala High Court of the 41 calls that were made from the driver's phone to the witness. It also argued that if bail was granted to Dileep, chances of him being able to destroy evidences would increase, since he is a premier figure in the Malayalam film industry. Firstpost had reported that the prosecution had earlier informed the court that Dileep offered the prime accused, Pulsar Suni, Rs 1.50 crore for carrying out the abduction. He was promised double the amount in case of getting caught by the police. Meanwhile, the actor's upcoming film Ramaleela is all set to release in theaters on 28 September, despite several appeals for a boycott. According to a report by Scroll, the first boycott call was issued by writer Saradakutty. She says her move isn't just aimed at Dileep but is also indicative of her resistance against patriarchy in the Malayalam film industry. 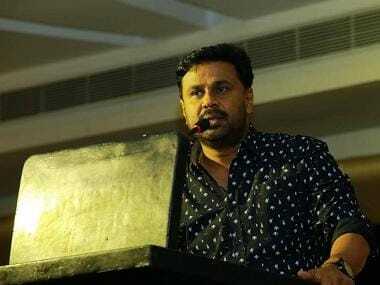 Dileep was taken into custody on 10 July after allegedly hatching a conspiracy to abduct and molest another actress. The unnamed actress was kidnapped and sexually attacked in a moving car after which she was dumped on the streets.